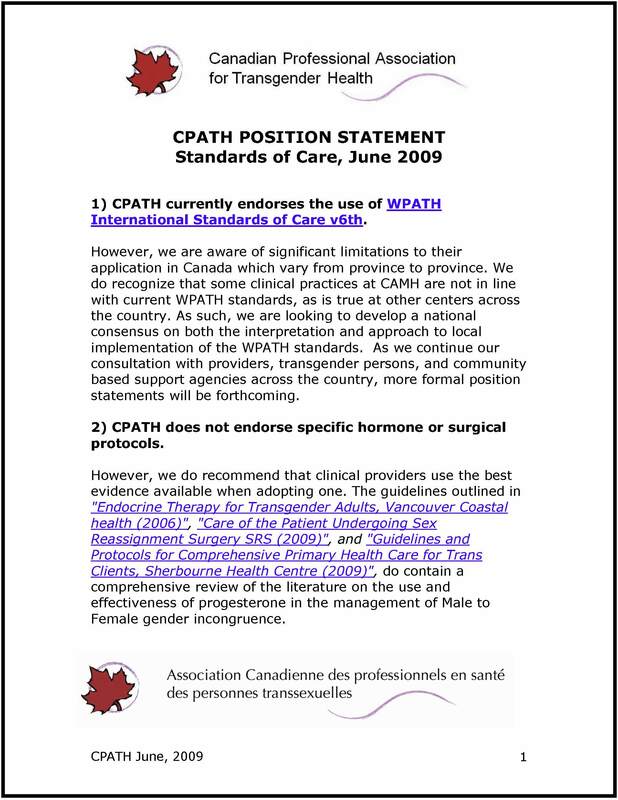 As CPATH develops as an organization, so does its commitment to clear statements with regards to standards, policy, and positions. Developed by committees and approved by the board, national consensus statements, letters, and positions are available to the health care providers, federal and provincial institutions, and members of the general public. Specific questions regarding each statement should be directed to inf…@cpath.ca.